Power outages can be a disaster and without a proper plan in place, a lengthy power outage can leave you and your family without proper lighting, unable to access electronic devices and, worst of all, unable to keep the house warm. Having a plan in place and knowing exactly how to handle the situation when it occurs can help you to comfortably endure power outages during the cold winter months. By following the advice in this detailed guide on what to do in a power failure, you will be able to calmly and confidently keep your family warm and in good spirits for the entire duration of the outage. First and foremost, it's important to have a plan in place that the entire family is familiar with in order to stay fully prepared when the power goes out. Without the proper plan and available resources, you will be left scrambling to keep the family calm when faced with a sudden, unexpected power outage. Staying calm in the face of adversity doesn't happen naturally. The only way to be completely confident and in control of the situation is to have a detailed, rehearsed plan with all the proper resources available. Foremost in formulating the best possible plan for when the lights go out is to assess what your needs will be. While every household has a different set of needs, there are certain items that are universally accepted as essential when there is a power outage. 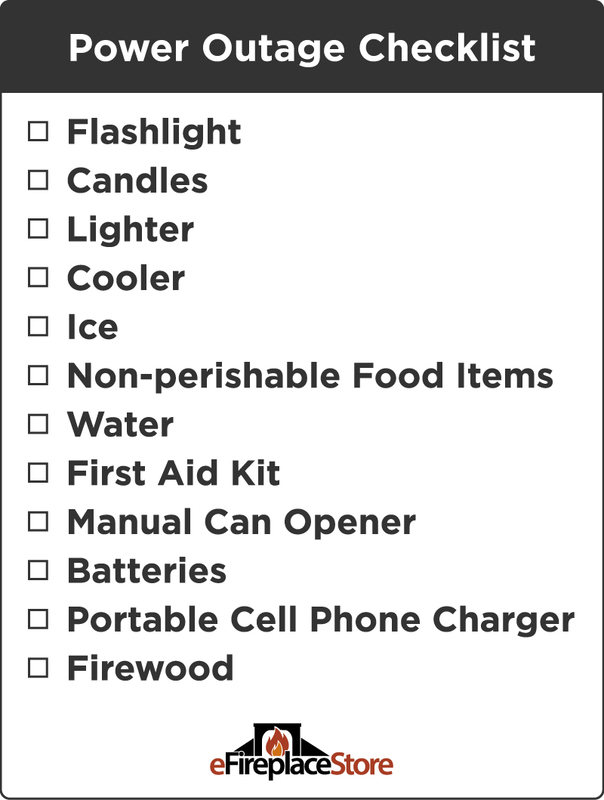 To be sure you have everything you and your family need in order to stay safe and warm until power returns, you can follow this complete list of items that would be useful to have during any outage. With these essentials, you and your family should be able to stay comfortable and safe during the entirety of the time you spend without electricity. However, the aforementioned items are just the essentials and are not meant to fight off the dreadful boredom attacks you and your family members are sure to experience. In order to stay busy and have fun, be sure to keep some board games and books along with the rest of your power outage essential items. After the plan is well thought out and developed, it is time to put it into practice. While it may seem slightly strange to practice a power outage in a moment when all is well, that is precisely what you should do. Most people, at some point in their lives, are faced with a power outage that lasts for an extended amount of time. If you don't know what to expect or what action you should take, power outages can be intimidating. By rehearsing the plan, your family will be on the same page and know exactly what they need to do when a real power outage takes place. After formulating your plan and determining the items you need or simply want to have with you, it is time to gather the emergency supplies. Be sure to keep all of the emergency supplies in an easily accessible location. One of the most common mistakes made when preparing for a future power outage is to keep the essentials in a closet or cabinet that is hard for the rest of the family to access or simply not notifying the rest of the family of the location. Instead, be sure to keep the power outage emergency supplies somewhere that is easily accessible for the entire family, such as a coat closet near the front door, underneath a bed or in a kitchen cabinet. Even if your outage supplies are stored in an easily accessible location, there is bound to be a bit of difficulty making your way to them if the outage occurs at night. A sound investment can be made in purchasing a low cost package of LED flashlights and placing them in various rooms of the home for quick access. Also, remember and prepare for the fact that power outages can occur at any time of the day, which means you might not even be at home when it occurs. Therefore, your spouse and kids will need to know exactly where the emergency supply items are and exactly how to access it in an effortless manner. For many, having the ability to charge their electronic devices is the first concern when a power outage occurs. In a world with constant access to media, being without your cell phone in order to access information about the outage can be stressful. The best way to combat this issue is to use a backup battery supply to charge your small electronic devices, including your cell phone, tablet and laptop. Utilizing a backup battery supply which charges via utility power and then provides battery power in an outage is a great way to charge smaller devices. Most models typically have several charging ports and the ability to attach additional ports, allowing the entire family to charge their devices at the same time. While a backup battery supply can work well for charging smaller devices, you should consider investing in a generator for larger electrical devices, such as lamps and other moderate sized electrical devices. With that said, generators should not be used for extended amounts of time when charging sensitive electronics due to their tendency to produce "dirty" power that fluctuates in output. Although much of the work is done up front with planning and preparing emergency supplies, it's also important to properly execute the plan that was put into place beforehand. Without the proper mindset going into the management of a power outage, you risk not being able to successfully handle unforeseen circumstances and getting frustrated, which can cause your family members to become stressed as well. It's show time. The lights go out, the outlets stop working, and the heating system comes to a sudden halt - indeed you are in the midst of a power outage. Take a deep breath and collect your thoughts. By doing so, you will be able to have a better recollection of the plan that was agreed upon beforehand. After recalling the game plan, it is time to tap into the emergency kit, which should be easily accessible even when it is pitch dark. Of course, the first priority is to grab the flashlight, light candles and start up the fireplace. If you invested in a backup battery supply or generator, then you can plug in your smart devices to ensure they have plenty of power as the day or night progresses. After the essentials are taken care of, it is time to find out more information about the outage. 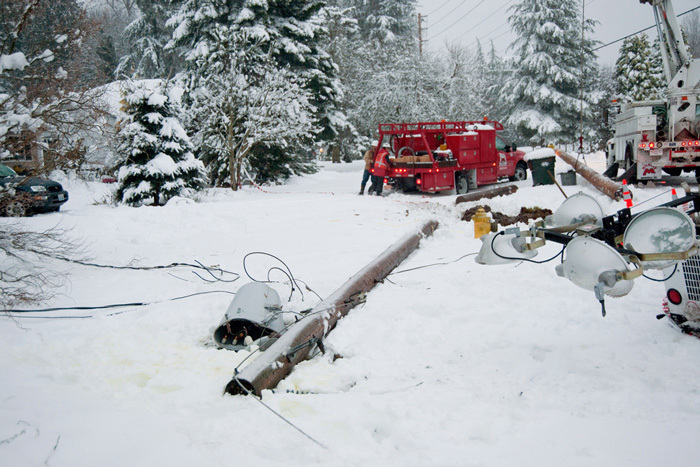 Outage management has made great strides in recent years, allowing power companies to give a reasonably close estimate of how many customers are effected by the outage and how long it is likely to last. In fact, many power companies have apps that display power outages. By downloading the app, you will be able to see how widespread the outage is, which should also provide you with some insight on how long it will take for the power company to fix the issue. 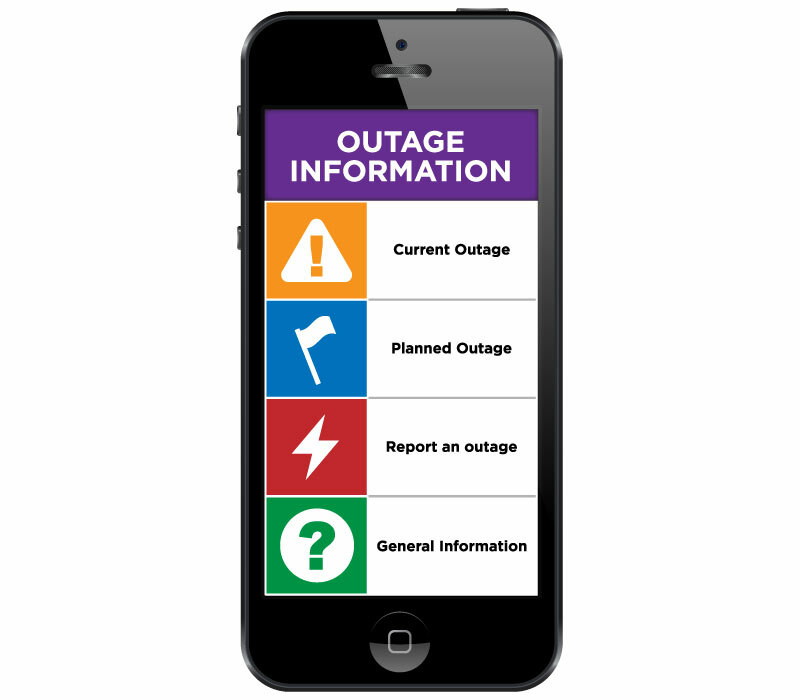 If the app or website of your power company isn't reporting any power outages, don't just assume they know about the outage and will update the information as soon as possible. In some cases, power companies won't know until someone reports the issue. Even if it seems like a redundancy, be sure to notify your power company if your power goes out. By doing so, you can ensure they know you don't have power and may be able to restore your power in a more timely manner. Because power restoration can involve inconsistencies in power flow, be sure to turn off any circuits that are powering high demand or sensitive items, such as refrigerators, freezers ovens and computers. An intermittent restoration that cause rapid cycling of these items could damage them. Once power has been restored and is stable, the circuits to these items can be closed. While power outages are often portrayed in a negative light, some good can come of them. Sure, power outages can be irritating and the unknown of when power will be restored is certain to cause some unwanted stress, but with the proper plan in place, you can quickly eliminate the fear and worry that surrounds a power outage and move on to seeking enjoyment out of the moment. An optimist might even say that power outages are a fantastic opportunity to bond with the family in ways that you are seldom, if ever, willing to do without a power outage, such as catching up with what everyone is currently focused on and what personal achievements they have made. 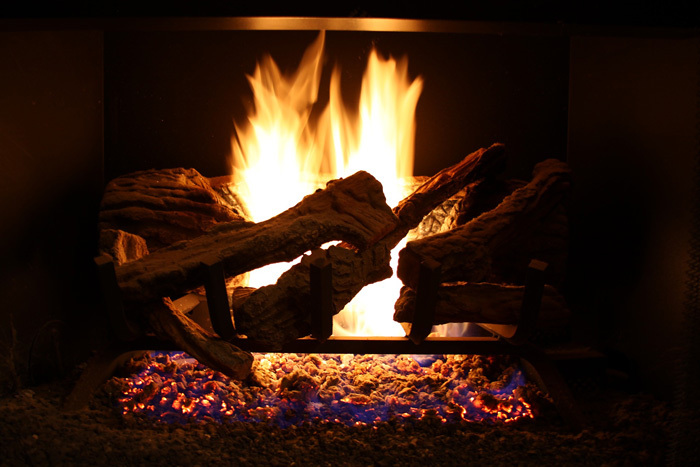 In may instances, power outages occur when the weather is cold, which makes having a reliable fireplace very important. Without a fireplace, you risk being so cold during a power outage that you are forced to leave your home to seek temporary lodging. This can be especially stressful during long term outages and gives thieves a potential opportunity to take advantage of your hardship. By having a fireplace in your home, supplying yourself with the items needed to get the fireplace going and knowing how to effectively keep it going, you can keep your family warm and at home while your power is out. 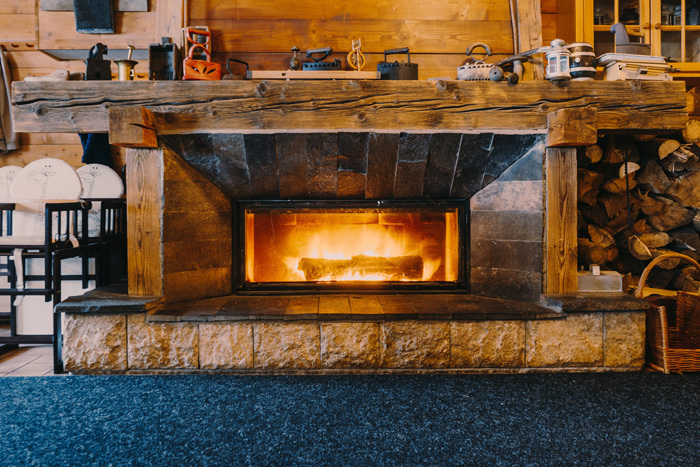 After ensuring you have all of the essential accessories, you should also ensure you know the proper procedure for starting a fire in a wood fireplace. First and foremost, make sure your chimney is clean and open the fireplace damper, which will keep smoke from filling the room. After ensuring everything is safe and ready to go, add the wood logs into the fireplace and add the kindling(twigs, newspaper or a fireplace starter log). After the starter and wood logs are properly arranged, light the kindling and continue to add logs when needed. The best part about a wood fireplace is that it usually requires less fuel cost and provides a comforting feeling and sense of security during a power outage. Wood burning fireplaces and stoves also tend to be much easier to operate in the event of a power outage, as virtually nothing changes under these circumstances. If the fireplace is not used regularly, it is recommended to always keep at least a 1/3 of a cord of wood on hand for emergency purposes. Be sure to store the wood in a dry location that is easily accessible for emergency use. As with any other circumstances, ensure that proper safety precautions are taken when operating wood fireplaces. Additional tip: In the event of an emergency where heat is desperately needed, it is recommended to temporarily set up sleeping arrangements in a room closer to the fireplace. Gas fireplaces have become a common fixture in many homes. While they require less accessories than a traditional wood fireplace, there are several essential items you will need to have. Although some accessories such as a fireplace remote facilitate easier operation of the gas fireplace, most of the accessories are simply for decoration. While it is possible to run your B-vent or vent free gas fireplace without a fireplace screen, a fireback and gas log embers, it won't feel as authentic. By adding the listed accessories, however, you can significantly improve the mood created by running your gas fireplace. Millivolt appliances utilize what is known as a standing pilot to heat a thermal generator, also known as a thermocouple. The small amount of voltage generated by the thermocouple is all that is needed to power the gas valve in the appliance. A simple switch or a remote control will close the power circuit in the gas valve, allowing the unit to ignite and provide needed heat during a power outage. Electronic ignition appliances use either a 12 volt DC or 120 volt AC power source to control an ignition board or ignition control module. These systems omit a standing pilot, instead using a pilot that only ignites when the unit is performing the startup sequence. 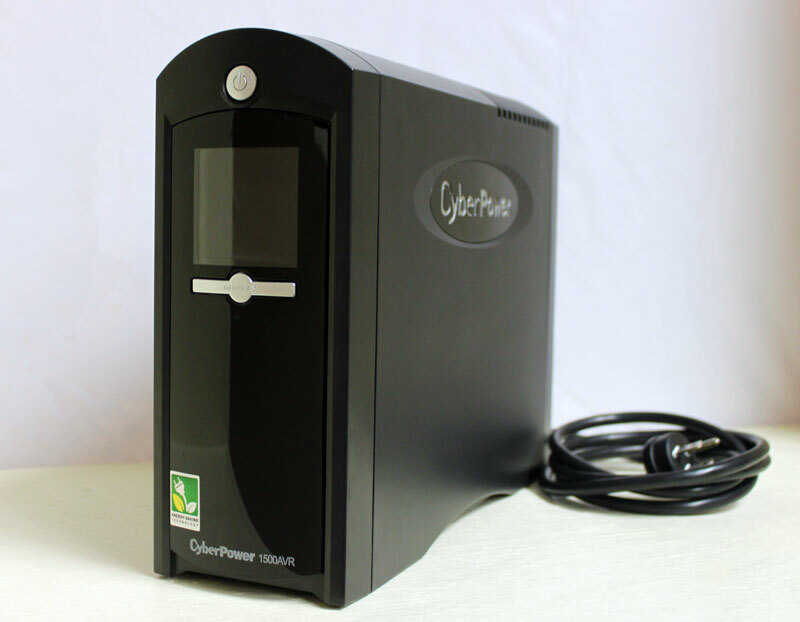 Battery powered models require no outside power at all and almost all models that normally require utility power will also have a battery backup. 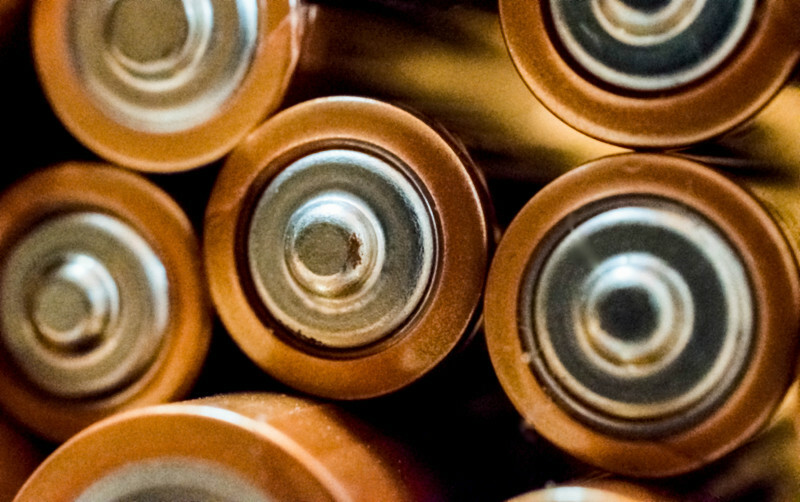 Make mention that it is important to regularly check the batteries in these systems to be prepared or at the very least, have a ready supply of batteries on hand. For both wood and gas fireplaces, it is important to regularly check the fireplace for proper operation throughout the year. Ensure the system lights are as designed and that there are no obstructions in the vent system. Also, do not wait until the fireplace or stove is needed to discover that there is a problem. Check the fireplace flue to ensure there are no blockages or dangerous levels of creosote. It is also prudent to have the chimney serviced by a professional sweep to ensure proper operation when it is needed. In the event that the fireplace is a vent free gas model, it is recommended to cycle the fireplace on and off only as needed since continuous use can lead to the unit shutting down due to oxygen depletion in the room. If a portable generator is available to supply limited power, consider using it to power any accessory blowers that your gas or wood burning appliance may contain. This will allow the warmth provided to extend further into the home. Box fans can also be used to increase circulation of the warm air. While they may seem like an inconvenience initially, power outages can be a fantastic time to sit around the warm fire with the family and spend quality time with one another. Be sure to properly prepare for the next power outage, stock up on the needed supplies and you can turn the next power outage into a fantastic bonding opportunity.